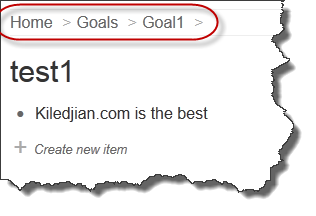 My regular readers know about my addiction to David Allen’s GTD system. At its core, it is a well defined list management system. 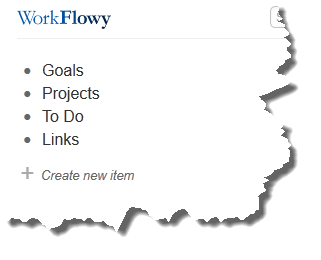 My tool of choice for my GTD implementation is Evernote but many of my co-workers and friends have become big fans of a web-based list service called Workflowy. As soon as you login, you will notice a clean and easy to use interface. Sure a blank screen may be intimidating to some but getting started is easy. 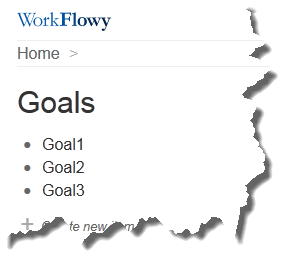 If you are not using a formal list management philosophy then why not start with these: Goals, Projects, TO DO and Links. To get started, position yourself right after the dot, and type your first item. Then press enter and type your second item, etc. 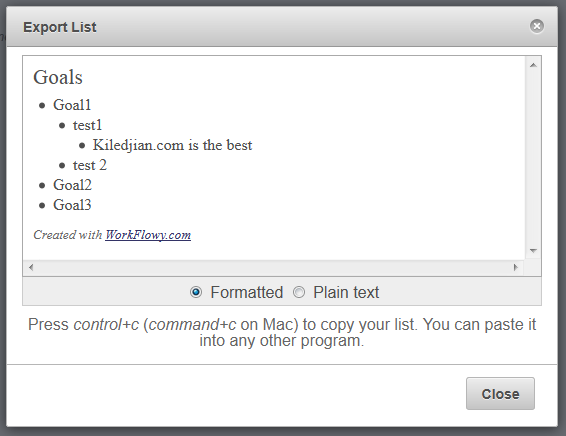 Now the beauty of Webflowy is that you can create sub lists and sub-sub lists and sub-sub-sub lists (and so on). To do this, click on the dot next to your first item, then click on "+ Create New Item" and start typing your sub list items. You can continue embedding to your hearts desire. In the above case, I created 4 levels of embedded lists. I can move back to whichever level I want by simply clicking the navigator window (I highlighted in red). Search Twitter and the biggest request you will see from Webflowy users is an iPhone or Android app. Their support team informs me that this is in the works but that they cannot provide a timeline. One question I ask any company offering a free service is "how do you plan to monetize it?". After all, an unprofitable business won’t be in business for long. When I asked this question on Twitter, their response was that they will use a freemium model (similar to Evernote) where premium paid customers receive additional benefits but where regular users can choose to stay on the free plan if they choose forever.